As mentioned in my last news post, I'm currently creating a free, open source RPG builder that will be cross platform and support many cool features and is built upon the battle system of Rhythos! Arcade BETA. The builder will have an accessible dual-scripting system and be highly expandable, including a powerful plugin API. 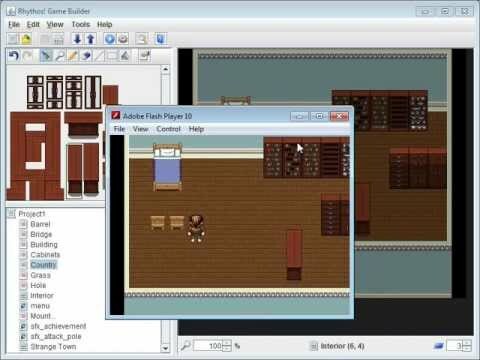 The editing capabilities are inspired by RPG Maker and based off of an older tilemap editor I have been developing on and off in my free time for the past year or so. The builder also uses the great 16-bit style graphics provided by the Liberated Pixel Cup/Open Game Art.